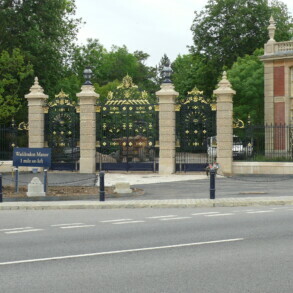 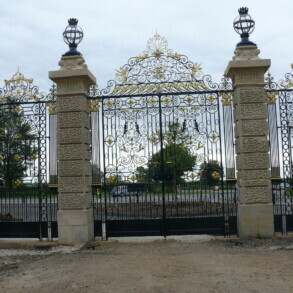 The gates and railings of the National Trust’s Waddesdon Manor were in need of cleaning and extensive repair (including replicating the historic glass in the gas lanterns) prior to repainting, gilding and re-siting. 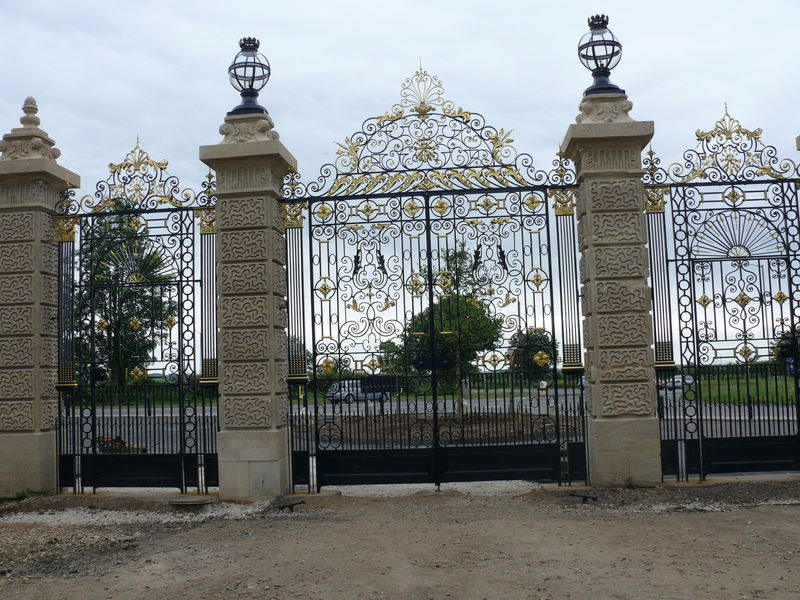 Eura Conservation removed the ornate gates and railings from the lodge house at Waddesdon Manor and transported them to our well-equipped workshops in Telford. 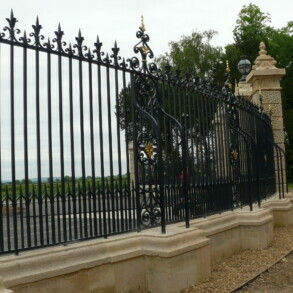 At the workshops we undertook cleaning back to bare metal, extensive repairs to both the wrought iron and cast iron elements of the pieces (whilst preserving as much of the historic elements as possible) prior to repainting and gilding. 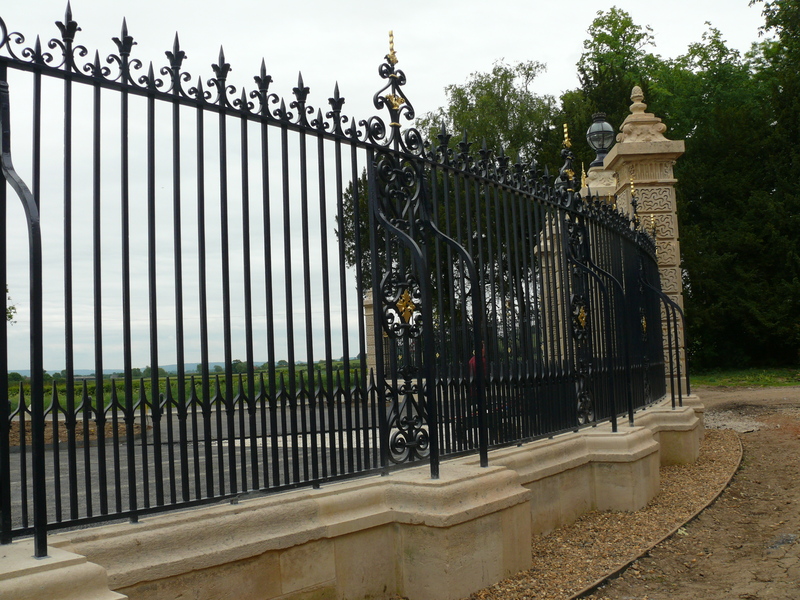 The repousse works were undertaken by one of our smiths at the forge in our workshop. 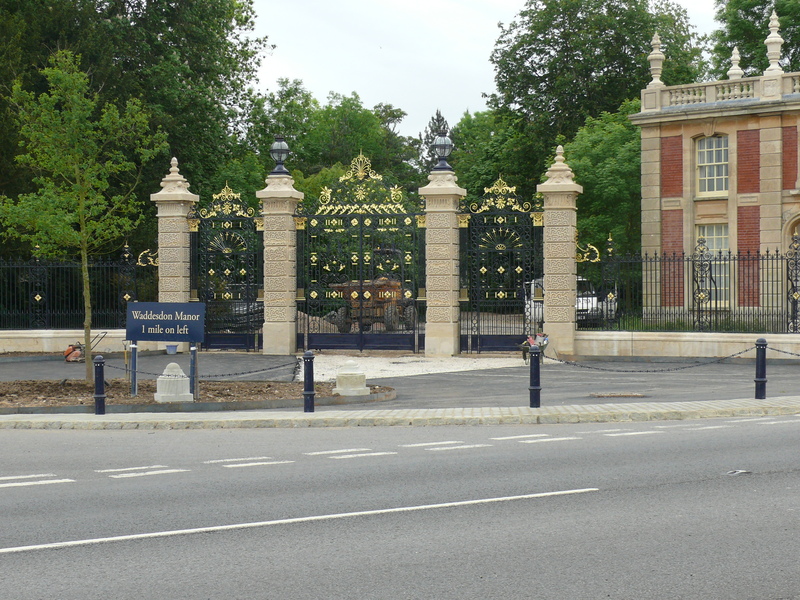 The reproduction glass for the gas lanterns was also copied and slumped in our glass workshop.